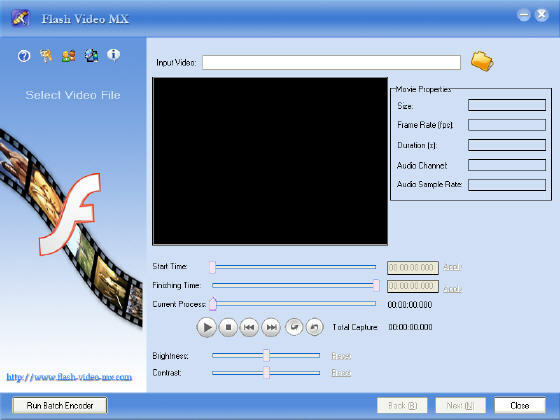 FLV to AVI MPEG WMV 3GP MP4 iPod Converter - FLV converter software whcih can convert FLV file to popular video formats including AVI, MPEG, WMV, DivX, Xvid, ASF, 3GP, MP4, iPod, PSP, Zune and convert FLV to audio formats MP3, WMA and WAV. SWF Slide 2.1 - To transfer a group of pictures into slide show in a breeze. You can also add narration, background music, text and etc. as you wish. The output slide shows are in the format of Adobe Flash or EXE. Wondershare Flash to Zune Converter 1.1.3 - Flash to Zune Converter - Convert Macromedia Flash SWF to WMV, MP4, MP3 formats playable on Zune without reducing any quality. It supports converting Flash from IE Cache. Wondershare Flash to iPod Converter 1.1.3 - Flash to iPod Converter - Convert Macromedia Flash SWF to MP4, MP3 formats playable on iPod without reducing any quality. It supports converting Flash from IE Cache. Sothink SWF Decompiler 3.5 - A powerful SWF Decompiler that can recover SWF to FLA file which can be opened and edited in Flash 6, 7 or Flash 8. 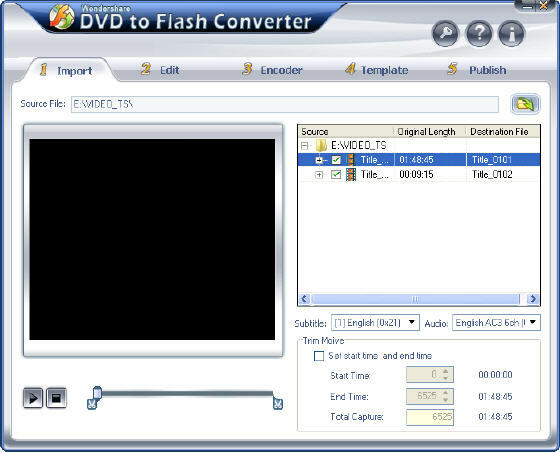 Top Flash to Video Converter - A powerful flash to video converter which can convert Macromedia Flash SWF files to AVI, VCD, SVCD or DVD compatible MPEG files. Video/AVI to Flash/SWF - A great Video to Flash Converter which can convert avi to swf file. It also supports MPEG-MPG-MPA / MOV / WMV / ASF / DivX. WinSWF Extractor - A simple and useful SWF extractor that can extract all the Images and Sounds resources from any macromedia flash movie file. GetFlash - The tool software to help you save Flash files(*.swf) and manage the flash animations (*.swf files) in web browses by a simple click. Sothink Glanda - A perfect Flash creation tool whcih can make flash animations, create greetings cards, photo ablums and flash banners within clicks. Wondershare FlashOnTV - Convert your Flash SWF to videos that can be played on TV and burn SWF to DVD, burn SWF to VCD and SVCD! ADShareit SWF to Video Converter Pro - A powerful utility that supports to convert Macromedia Flash SWF to MPEG AVI or SWF to DVD/VCD/SVCD compatible MPEG files including movie clips, action scripts and audio in the Flash movies. Amor SWF to VCD SVCD DVD Creator & Burner - Convert your Flash swf files to compliant Mpeg, VCD, SVCD or DVD structures (VOB and IFO). 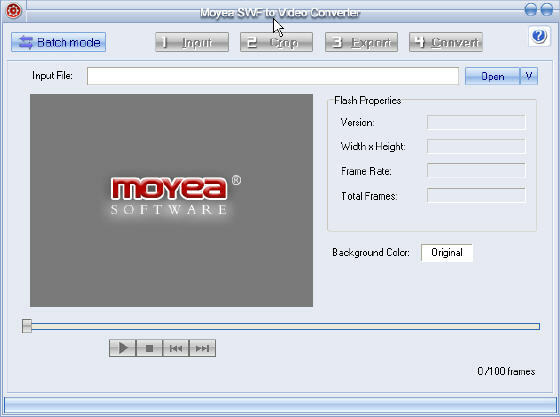 Amor SWF to Video Converter - A cool SWF converter which can convert Flash SWF file to MPG AVI DVD VCD SVCD MPEG GIF video file, join SWF file to large video, extract MP3/MAV sound and capture BMP file! Flash2X Flash Hunter - A cool SWF hunter which can download Micromedia Shockwave Flash movies (*.swf) from the web pages automatically and conveniently. Flash Decompiler - A powerful SWF to FLA converter with functionality to decompile Flash movies, convert SWF elements into multiple formats and replace them on the go. Flash Optimizer - A Flash compressor tool that lets you optimize Flash SWF files to save up to 70% of their size. Flash Player Pro - A Macromedia flash player and manager which can browse flash movies, download flash movies from the Internet, capture flash image and set it as wallpaper, etc. Flash-SWF to AVI/GIF - A great SWF to AVI converter which can help you convert SWF flash files to GIF picture file and AVI video file. Liatro SWF Compress - A powerful SWF Compressor which can compress Flash Movie producted by Flash V4,V5 and V6, reduce Flash movies size effectively, fast download progress by your web client.